Choosing a fence to fit your budget can seem like a grueling task. However, our aluminum fences are the perfect solution. 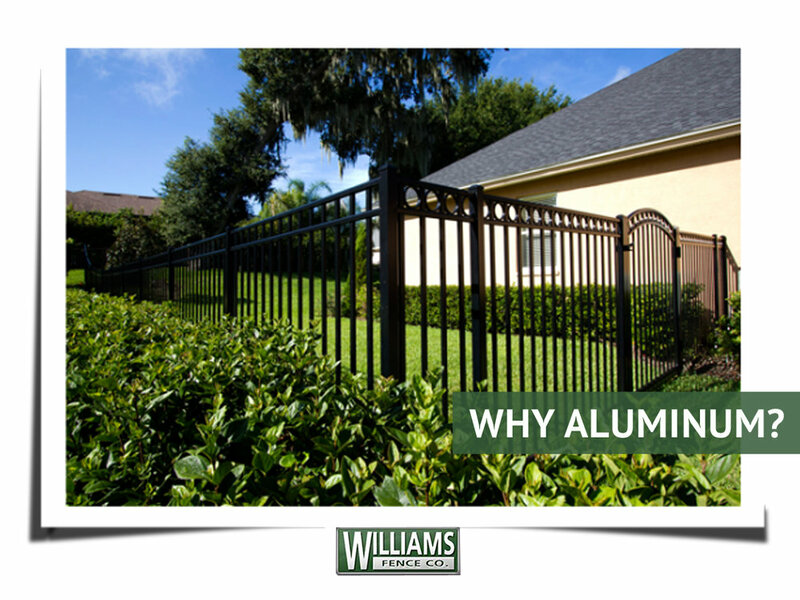 Aluminum picket fences give the allusion of “old world iron work,” with lower costs and longer years without service. The fences are powder coated for long lasting finishes. Black, white, dark brown, almond, and hunter green are the finishes available. Our Aluminum ornamental fences provide the look of “old world iron work” with lower costs and longer years of maintenance free service. The fence components are powder coated for a longer lasting finish. Our aluminum fences are available in different styles and include options of finials and spear points for pickets, ball post caps, decorative rings between pickets, and scroll work to give your fence or gate a unique design. Gates feature welded frame construction and the availability of custom designs and arches.